real me opp brain fart!! [me] yea watch....sasuke.....if given the chance would u kiss me again??? me:can I kill him please? me: sas-s-gay is staring at you (sam)??? me: err I don't think so but you know he's full of himself though! me: AHHHHHHHHHHHH SOMEONE HELP ME!!! SAM, TORRIE HELP ME!!!!!!! [me]SASUKE!! !STOP IT AND ANSWER MY QUESTION!!! !Y R U STARING AT ME!?!?!?!?!? [me]answer me or i tell torrie and u dont live 2 see 2morrow.do u want me 2 have him leave b4 u answer? me: hugs torrie frome behind and says thanks torrie kun!! sasuke: looks away and blurts out.......I love you and I can't stop thinking about you and I wish you were mine and thats why I was looking at you!! sasuke:sadly thinking.......sam will never love me GRRR the only girls that love me are annoying and don't understand my pain or goal. sam is so smart and beautful and I never feel this way around other girls before. 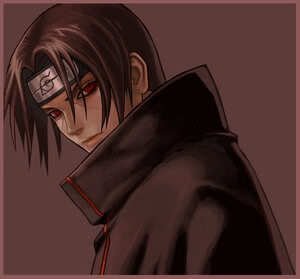 sam is the girl that can makes my heart beat again with life in it and when I'm with here Itachi doesn't crass my mind. sam needs to know how much she is speacil to me and I will wait for her because I love her but the question is will she ever love me?!?!?!?!?!?!? sasuke: says out loud.........I better go say i'm sorry to sam for acting like an idiot because I proably feels bad now because I leaft like a cowared! sasuke is shocked at first but then wraps his arms around your waist and pulls you closer to him and kiss with much passion in return. sasuke: what was that for sam??? [me]*lets go*...now who should we prank??? me: ummm how about kisame??? me:yup bwhahahahaha what's the plan? me: lets buy a 1000 pounds of sushi and send it to him and put a note with it that say....muhahahahahahahahah I killed your family and now you can sleep with the fishs! !